If you are a part of the #SticktoSports crew, this year just hasn’t been for you, and Iman Shumpert is the latest athlete to violate that. Athletes across the sporting world have put in their two cents on the presidential election and now-presidential elect Donald Trump. This includes the likes of Bill Belichick and LeBron James. 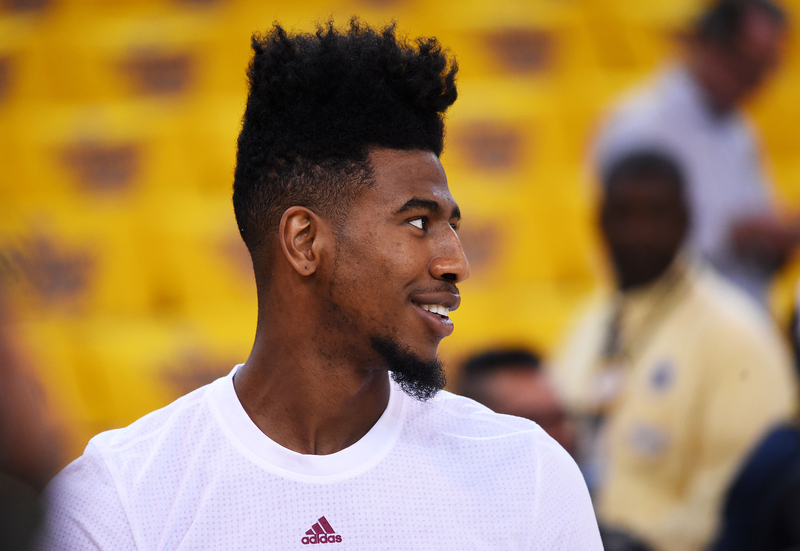 The latest is James’ teammate Iman Shumpert. In the midst of an extended interview, the Cleveland Cavaliers forward gave his thoughts on the soon-to-be commander-in-chief. Along with expressing his views on Trump, he also explored the idea of a potential trip to the White House if the Cavaliers were to win the NBA title in 2017. Strange enough, Shupert’s comments on the Donald were spurred by a question about Kanye West and his recent comments about his support of Trump. Shumpert ended up turning the question into one about Trump, despite the interviewer’s best efforts. I understand people’s stance on Trump. I can’t get caught up in the racial, sexist bulls–t he’s got going on. That’s his personal thing, ya dig? But I just don’t think he can make anything shake like that. He not finna start no civil war out here. I do think he’s crazy—straight up. I think he did that stuff to get people to think he’s willing to shake it up. But did I vote for him? No. The other stuff that comes with him, I can’t get with. But now that he’s here, I’m not finna drag my feet. I gotta work here, at least until the offseason, if I wanna go get a crib in the Islands. Oddly enough, Shumpert was just recently at the White House celebrating Cleveland’s 2016 championship with current president Barack Obama. According to those at the event, many players commented on the fact that this might be the last time an NBA team is at the White House. Along with Smith, ESPN NBA analyst Jalen Rose and others have said there’s a chance players will refuse to make the trip to the White House during a Trump presidency. Golden State Warriors coach Steve Kerr has expressed a similar sentiment. James hasn’t been as definitive on his choice to interact with a President Trump. As Trump prepares to take office, there has been plenty to talk about. Now sports is just adding more fuel to the fire.